This has been a very special year in the world of Disney. The main mouse himself turned 90 and the whole world celebrated. 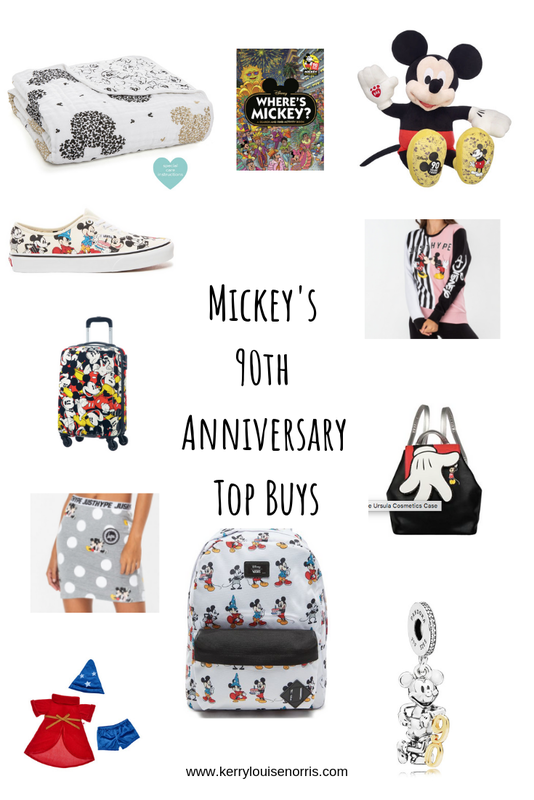 All of our favourite brands embraced Mickey fever and released products for Mickey's 90th anniversary leaving us Disney fans spoiled for choice. 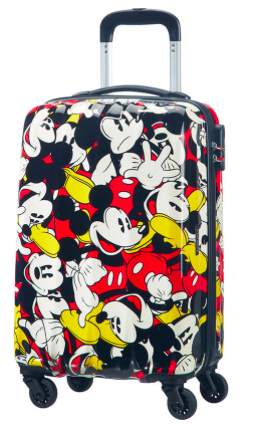 American Tourister have released an amazing collection of Disney legend 4 wheeled suitcases this year featuring our beloved Mickey and Minnie. The suitcases are hard and sturdy, lightweight with quiet wheels making them ideal for a mini break away to Disney. 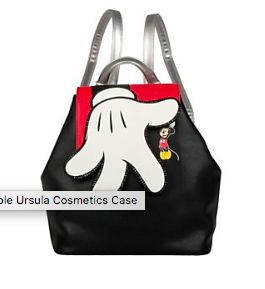 It's no surprise that I love the Danielle Nicole Disney collection bags and I have a few already. Her latest collection featured the main man himself and this backpack has gone straight on my Christmas list. 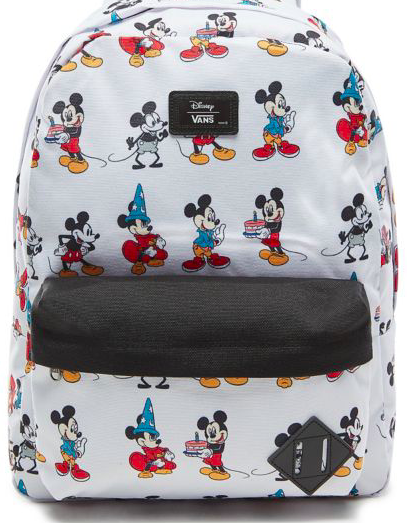 You can purchase it at shopDisneyUK. 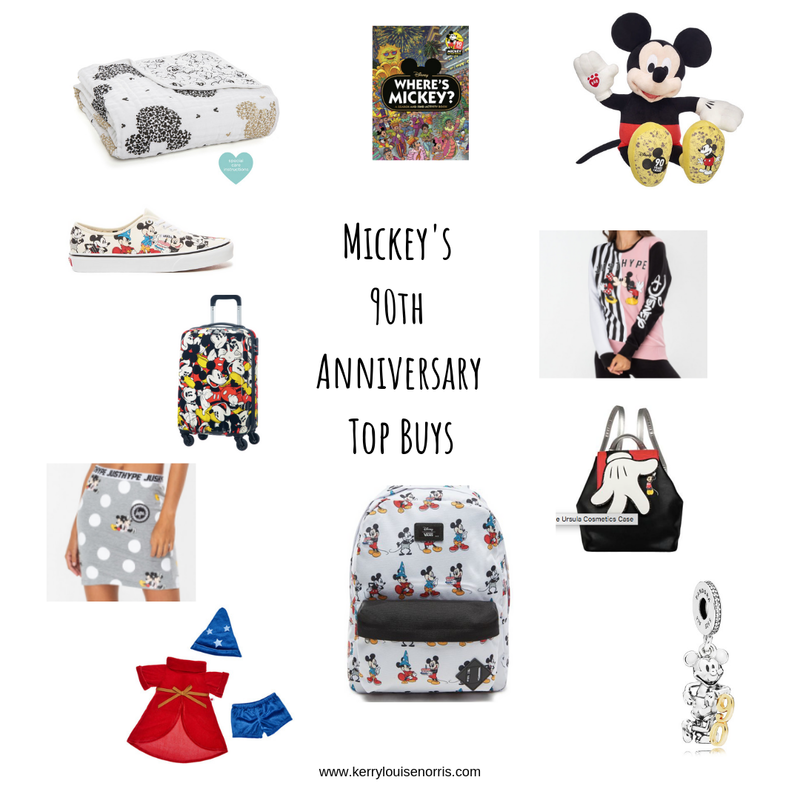 If you're a regular reader of my blog then you'll know how much of a fan I am of the DisneyxCathKidston collaborations so I was over the moon to see them release a Mickey Mouse collection. 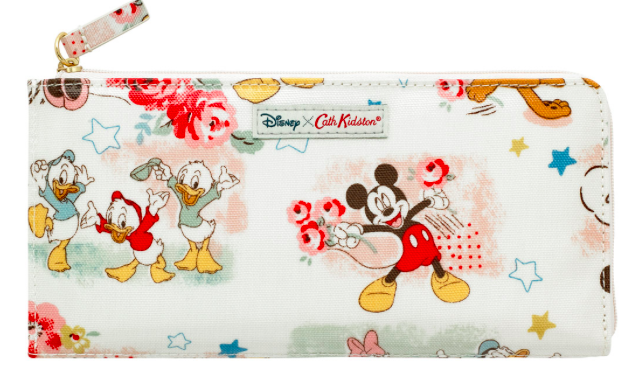 I bought this wallet as the print is super cute (and I can't believe it has the Ducktales on it). I was gutted to have missed the bag. I received this fab book by Studio Press Books. It's a great one to do with children (or by yourself). There were 90 special books printed in the UK which contain a Golden Mickey and I was very lucky to have one of them. 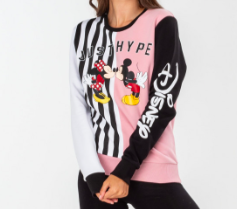 Hype recently launched a huge collection of Disney clothes and accessories with awesome prints. My favourite picks from the range are the Lover Splice Crewneck and the Grey Polka Dot Skirt. Both items are perfect for some Disney street style. These two items may be the cutest of the bunch. Build-A-Bear have released a special edition Mickey Mouse. His feet are my favourite part of the new teddy. You can also get a Fantasia outfit to dress him up in. 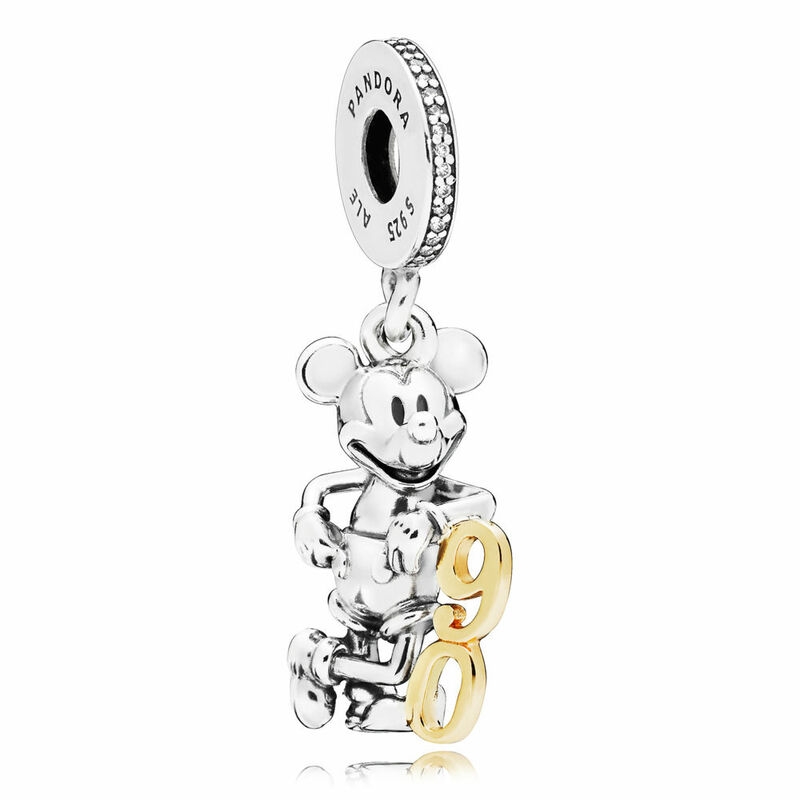 I have a couple of Disney Pandora themed bracelets so I was very happy to see them release a limited edition charm for his birthday. Aden and Anais have had a Disney collaboration out for a while. 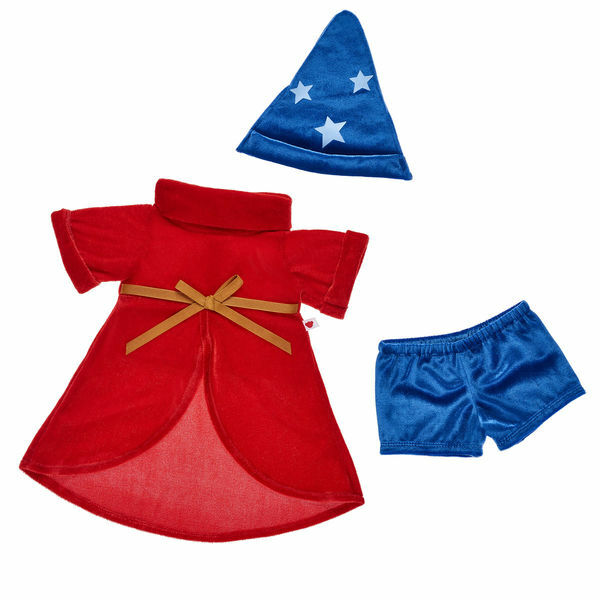 They sell beautiful baby products such as muslins, blankets, swaddles and more. 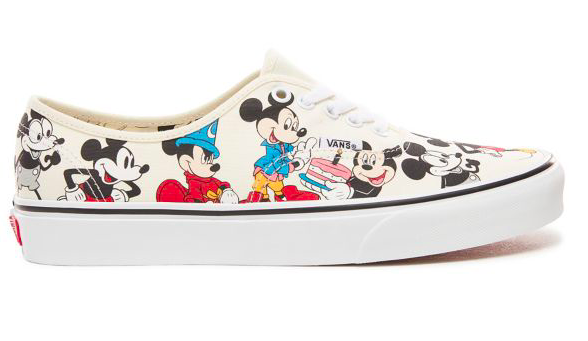 Some of their cute Disney designs include Winnie the Pooh, The Aristocats and more. 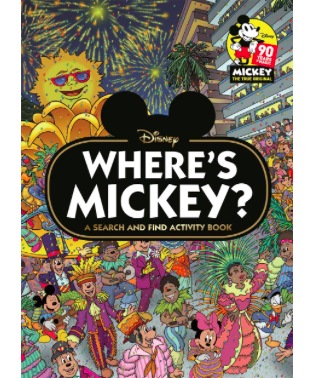 To mark Mickey's birthday they released a gorgeous collection just for him. Their dream blankets are lovely. They are soft and just the right size for snuggling. Last up is the insanely good collection that was recently launched by Vans. My favourite print from the range is 'Mickey Through the Years'. 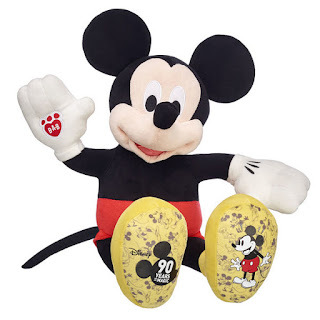 Have you seen any new products celebrating Mickey's birthday that you think I'd like? I can't quite believe Mickey is 90 years old, what an incredible milestone. Loving Disney items here. I love the suitcase.